With just a few days to go before my spring Soul Food singing residential, I’m delighted to announce that I will be hosting another singing residential at the wonderful Hazel Hill Wood this autumn. 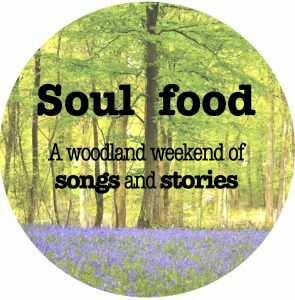 Soul Food 3 will be taking place the weekend of Friday 3rd – Sunday 5th November 2017. Think: crisp autumnal leaves, bonfires, cosy mugs of tea, misty mornings and sweet sweet harmonies. Places will be available to book from Saturday 17th June. Places are limited and are expected to sell out, so if you are thinking of coming along, don’t dawdle! The link to the booking form will be available from the singing residentials page of my website.